Bronde, strobing, baking and clown-contouring: are they really new? Recently we have seen “new” beauty “trends” popping up everywhere: strobing, bronde and clown-contouring. L’Oréal splashes our screen with a majestic J.Lo turning bronde. Borderline luminescent faces pop up in social media thank strobing for exisiting. Amusing images are plastered in the media with the new clown-countouring. They are not, however, new. Bronde, this exotic mix of brunette and blonde. Both. Or neither. I realised I was that, whatever that is, for a huge chunk of my life. Yes. About 10 years. Bronde. But it was called simple highlights, strategically placed, fine and subtle as I always liked (and not stripy as some seem to carry), but still highlights. Strobing is, and always will be highlighting. MAC even has a strobe cream which I used to use maybe seven years ago. With highlighting and contouring reaching the masses, an extra glowy, complex-lifting and light-reflecting highlight job became strobing. It’s pretty and I love it. To be honest, I strobe most days; this INIKA highlighter is perfect for a wearable look. 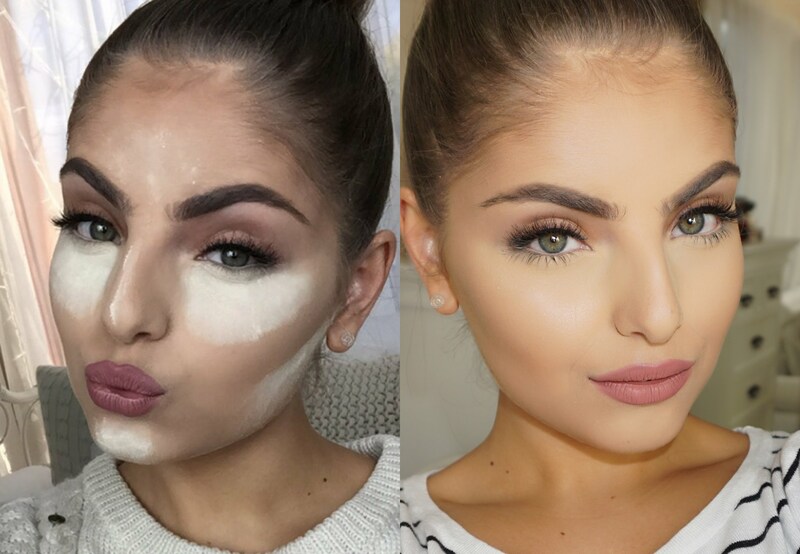 The gorgeous MUA and vlogger Heidi Hamoud nails baking – Google her YouTube vid, she does it beautifully! Baking or cooking your makeup is an old technique and has always been in for drag queens. It consists in adding a couple to a few thick layers of concealer under the eyes, a lot of blending, patting and dusting with translucent powder, as well as patience to wait so the warmth of the skin “bakes” the mixture, before finally, dusting the excesses off for smooth, crease-less looks. Although most articles I read about it do mention it is nothing new, some still say on the their headlines – is is the new contouring? No. You can contour and bake. Really, have your cake and eat it. There are lots of tutorials online if you want to have a go. I recommend Heidi Hamoud’s. 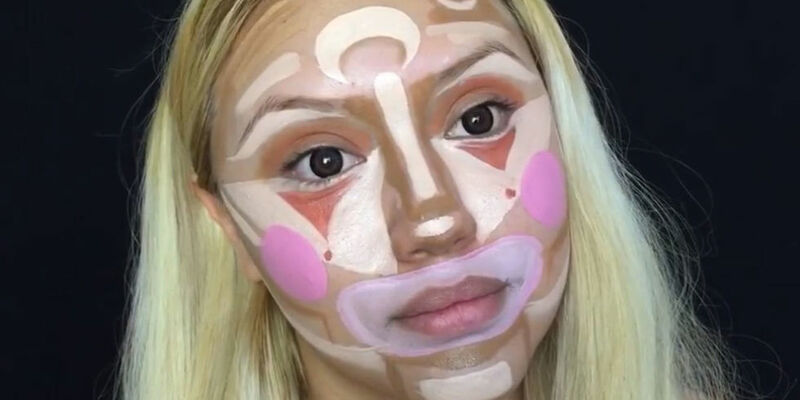 And that brings me to the clown-contouring. Well, that is not a trend. It is still contouring, albeit to the max, but with some of fun. That poop-emoji doesn’t really add anything to the final effect. The principles are still observed – be light where you want to draw attention to, be dark where you want to disguise/change shape/add shadow. Add colour where your blusher is, add a different colour concealer to colour correct tone. Blend the bejesus out of it. May I add kudos to the ladies that first put it out there. Belladelune looks (and is) pretty cute. Of course, in L’Oréal’s case, it is a genius marketing ploy: sell something they already have, with a fancy name. Nothing against bronde, has always been my fave hair colour anyway. So, I’ve seen it all before, together with dip-dye, ombré, et al. It’s the circle of life. Let’s just pray people don’t decide to bring back eyebrows plucked to an inch of their lives as the “new trend” invisi-brows. I like this post! I am team brunette but I used to dye me hair brown chocolate, now I am giving it a break. I also admire posts like this because I am always natural mke .. Etc so this keeps me update.